As you have probably figured out, I am playing catch up on all significant events between June and now. You can expect quite a few new posts in the next few days. 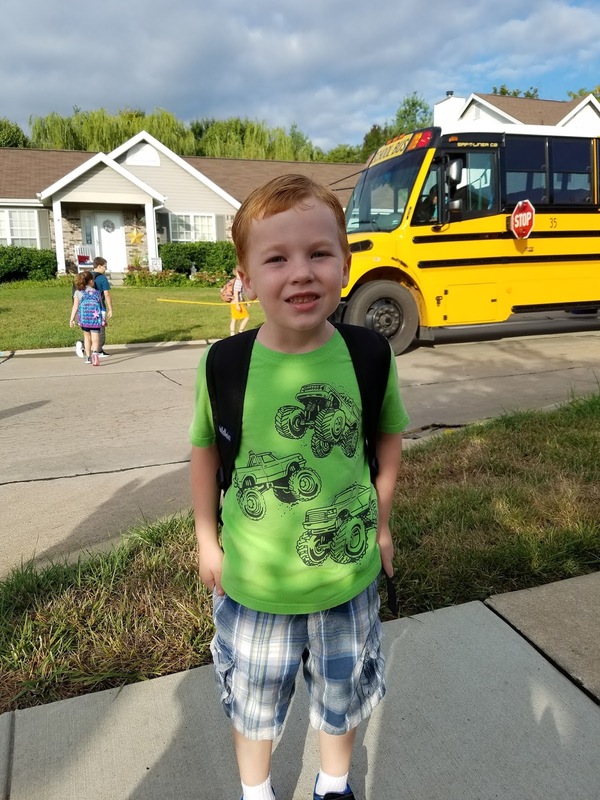 Charlie started first grade this year! 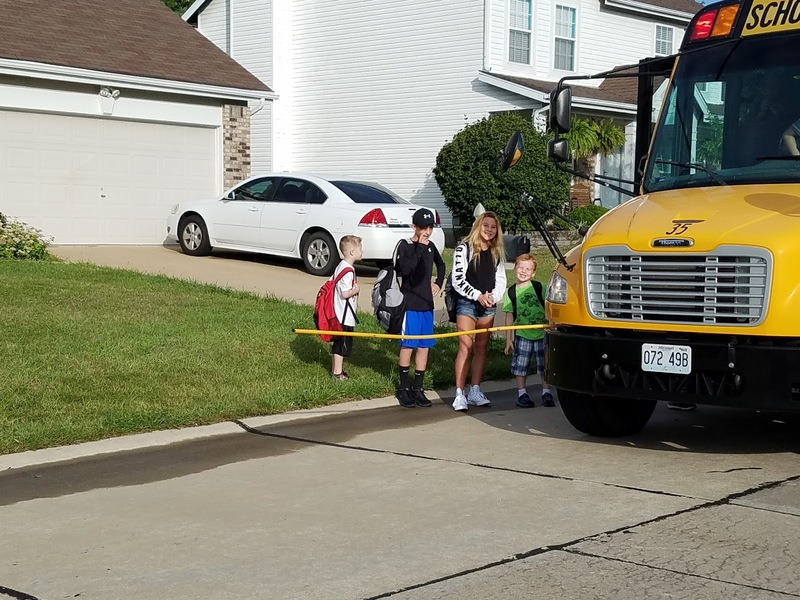 Due to boundary changes he switched from Prairie View to Crossroads Elementary. At first he was sad and Keith and I were a bit worried about it since it seemed like we were just barely getting things settled with the nurse and his new school didn't have the social skills program that had helped him so much. Not to mention that he had just barely made a good friend who wouldn't be switching schools. The last day of school his class had a pizza party. When I went to bring him his pizza I cried as I hugged his teacher and again when I went to tell his amazing nurse good-bye. She didn't know that he was switching and promised to write an email to the nurse at his new school explaining to her what they found had worked best with his formula at school. That was a relief. Despite our concerns he is doing really well. He has already made two new friends and it only took a month to figure out the formula situation with the new nurse. His teacher is wonderful and he is thriving. Things haven't been perfect, but so far it is proving to be a pretty great year.